for all ages and styles. 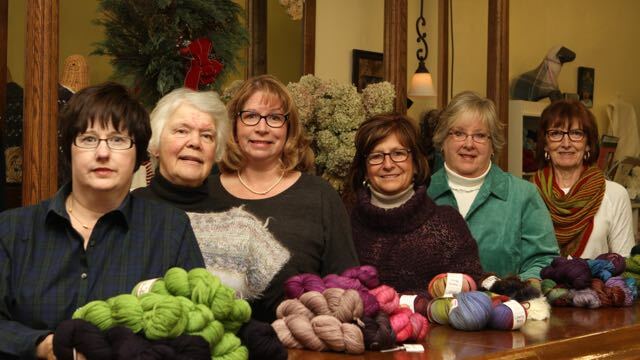 Back Alley Fibers is owned and operated by four ladies (Marty Gibbs, Sherry Richards, Mary Geer and Joanne Rasmussen) who share a love of fiber arts. The shop has been open since November of 2006 and moved to its present location in March, 2014. Our aim is to make a success of our endeavor by serving the knitters and crocheters of Caro and the surrounding area. Let us know what else we can do to make our shop a place you love to visit!